It's a proven fact a well written professional business report sells businesses faster. The business report gives the buyer an operational and financial overview of the business from which a decision can be made to proceed. Because of this professional approach, accountants and financial institutions tend to provide an ongoing business referrals because of professional manner in which the business report is presented assisting them in their analysis of the business for their client - the buyer. The Premium Report - which is recommended for large businesses such as wholesale manufacturing and service type businesses. From information provided from the seller, our expert writers then compile a full colour report that evaluates the sales potential, competition, staff, products, markets and facilities. Often reports have 20 to 60+ pages, analysing everything a buyer needs to know to make a quick but informed decision. As a result of our innovative and highly professional approach, guesswork and hit-and-miss negotiations are replaced with a systematic approach that ensures a fast rewarding deal for you, the buyer and seller. 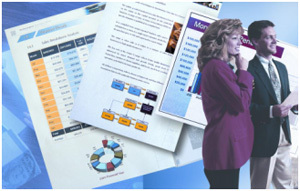 No other business broker writes comprehensive full colour professional reports the way we do. We showcase each business on its individual merits to maximise buyer response and minimise the selling time. Performance Business Reports emails the completed report, in PDF format, so the Seller can check the accuracy and content. The Seller then signs the computer-generated agreement that the report is an accurate representation of the business. 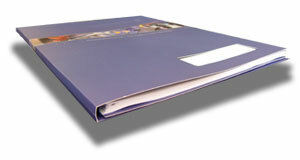 You will then be sent five hardbound full colour reports in presentation folders identifying your business name and logo to hand out to prospective buyers. Interested buyers sign an automatically generated confidentiality agreement. Because the report is written by a third party and each page signed by the Seller as a true and correct statement, your legal liability is greatly reduced, as you are clearly the conduit for information. This, together with the system's list of special conditions of sale, will further reduce any blame for misrepresentation by your company or your employees. The report is designed to provide a framework for communications between the buyer, their accountant and financial adviser. It also minimises unnecessary on site appointments and disruption to your vendor's business during the selling period, resulting in a faster hassle free sale. Whilst the report is being written, computer databases are searched to select a small number of ideally suited prospective purchasers who will be invited to collect the report when it is finished. This often produces multiple offers from competing buyers for the business.